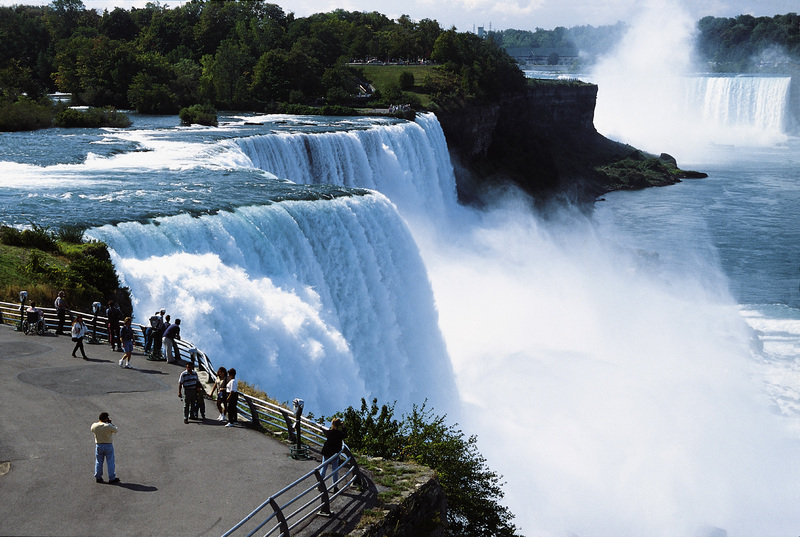 Over 22 million tourists come to Niagara every year to witness the spectacular sight of its majestic drops reaching up to 173 feet. Although not as high compared to 500 other falls in the world, Niagara established its reputation as one of the biggest in terms of brim length, spanning 3660 feet across its three falls (American, Bridal Veil, and Horseshoe Falls), and also in terms of the sheer volume of water and energy that it can generate, spilling more than six million cubic feet of water every minute. Situated between the State of New York and the Province of Ontario, Canada, this world-renowned tourist site in Niagara River is one of the world’s most awesome and breathtaking natural attractions. The panoramic view of its falls is awe-inspiring. In fact it has become the inspiration of the finest masterpieces by famous painters coming from different parts of the world. Niagara has gained a lot of publicity even before the modern age. It has also attracted a lot of stunts such walking across its gorge on a tightrope and death-defying barrel jumps into one of Niagara’s high-altitude drops. In 1953, Niagara Falls became the center of everybody’s attention after being featured in one of Marilyn Monroe’s movie, Niagara, as well as in the 1980 hit movie, Superman II. Other famous personalities who paid homage to the falls include David Copperfield and Ferde Grofe. Since then, the total number of tourists who come to visit Niagara’s magnificent falls started to climb significantly even today. 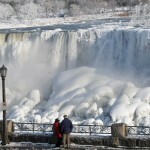 Just recently, Niagara has captured the interest of netizens after its apparent freezing during the record low temperatures that hit the US. The phenomenon was due to some deviations in the polar vortex which can occur in several occasions especially when winter season is at its peak. Niagara experienced freezing in the past, although in different circumstances such as ice blockage jamming its way and hampering the flow of water through the falls. In one extreme case such as in March of 1848, ice blockage has completely stopped the flow that people had actually walked across the Niagara on foot, some even collecting artifact from the riverbed. 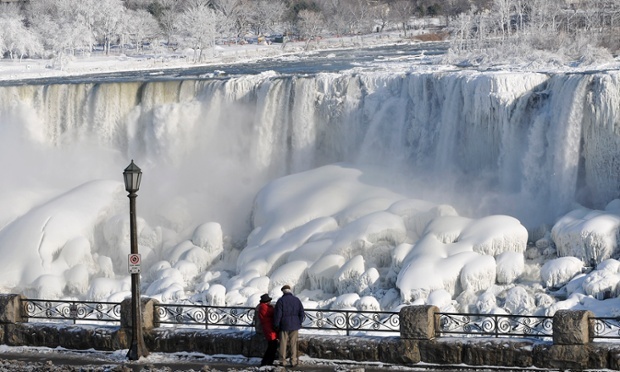 The partial freezing of Niagara Falls in the past couple of days, however, is not due to ice blockage but due to the extreme case of cold weather. Contrary to popular belief, Niagara Falls doesn’t freeze from cold weather alone but due to ice blockage since it is very unlikely for enormous currents of water to get frozen entirely. What people see are actually just ice bridges with much of the water still flowing underneath.